When it comes to gifts I always try and buy handmade. I'll admit I do love the high street for clothing (although I try when i can to buy ethically) but I can't remember a time I haven't turned to market stalls and Etsy to find something really unique when I'm present buying. It just makes it a bit more special doesn't it? 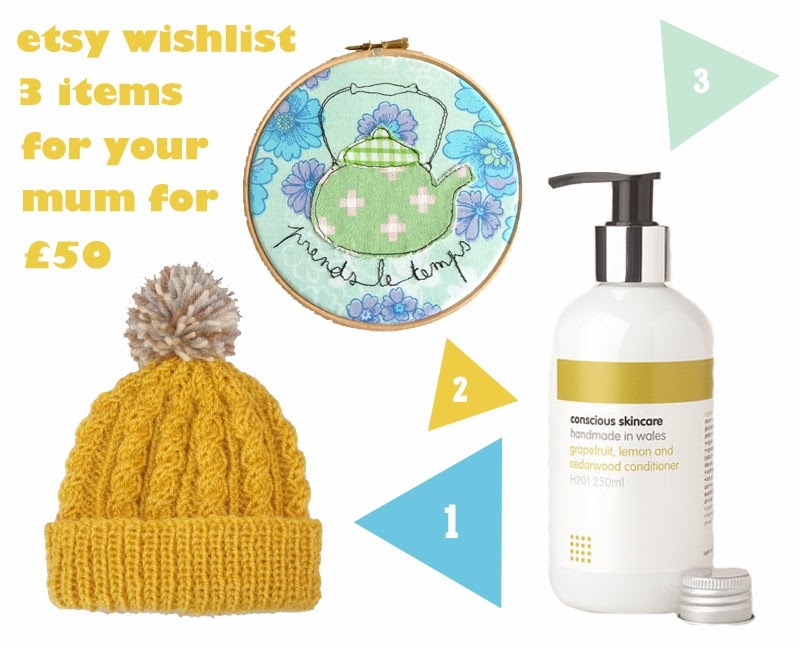 I thought it would be fun to show you can get at least three wonderful, unique items for a total price of £50 this mothers day and still shop handmade. 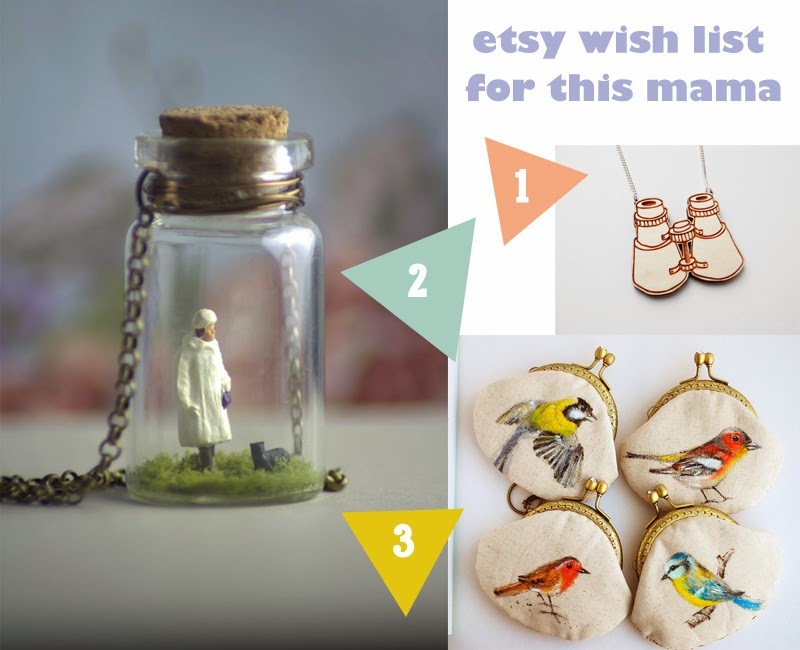 These are my top pics from Etsy UK. My mum would frown at the hat choice as she doesn't think they suit her but it would probably be one of those gifts I give and decide to keep for myself, anyone else do that? Love, love the mustard hat and binocular pendant! i am loving that hat! looks lovely and snug. The Dayre boot is my favourite, but the Ornella heels in Nile blossom are fun too. I love the Talisa boots. I love these http://www.rocketdog.co.uk/.DARYE-BOOT_DARYEDP.htm perfect for summer! I am a sucker for a good pair of boots and love the Knockout boots. Incidentally I am lusting after the boots in this giveaway!! I LOVE rocketdog boots - my Dad buys me a pair every year for Christmas!! haha! Rocket Dog are such a quality brand. I love them!